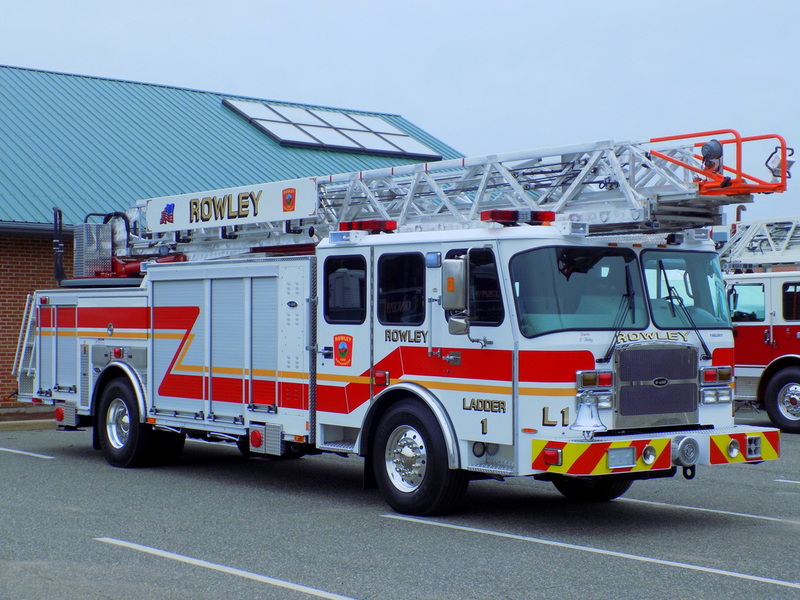 This is the page for the Rowley FD. They have 3 engines, 1 ladder truck, 1 brush truck, 1 utility truck, 1 SUV, and 1 station. I only have pictures of Ladder 1. 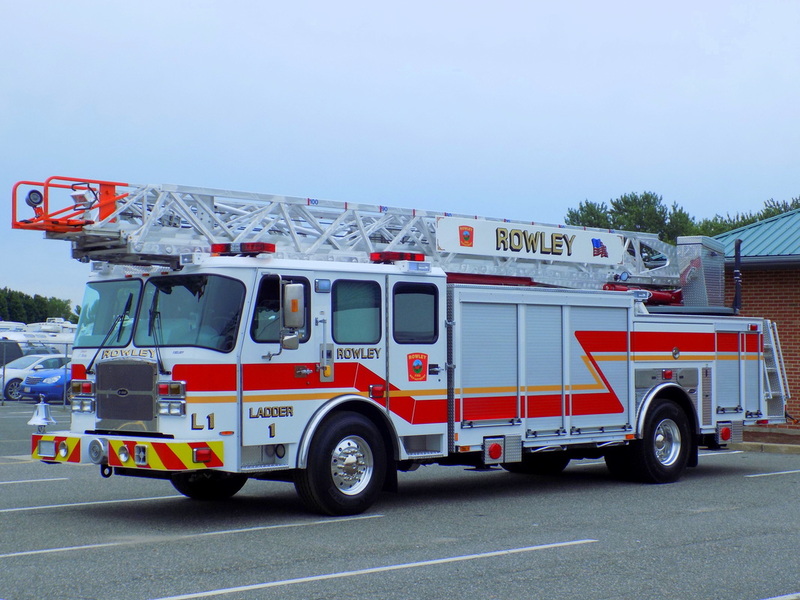 Rowley's Ladder 1, a 2015 E-One Metro 100 ladder truck.